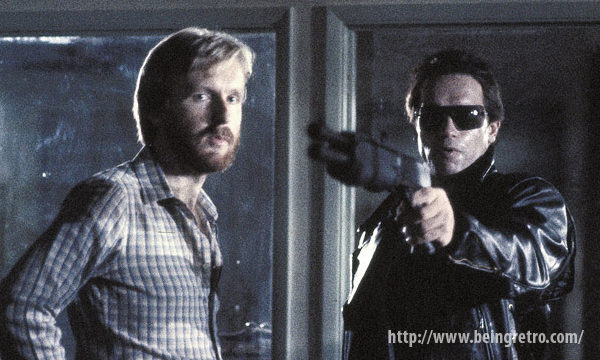 Being Retro: The Terminator (1984) - WELCOME TO TERMINATOR WEEK! The Terminator (1984) - WELCOME TO TERMINATOR WEEK! The Terminator is a 1984 science fiction film released by Orion Pictures, co-written and directed by James Cameron and starring Arnold Schwarzenegger, Linda Hamilton and Michael Biehn. It is the first work in the Terminator franchise. In the film, machines take over the world in the near future, directed by the artificial intelligence Skynet. With its sole mission to completely annihilate humanity, it develops cyborg assassins called Terminators that outwardly appear human. A man named John Connor starts the Tech-Com resistance to fight the terminators, defeat Skynet and free humanity. With a human victory imminent, the machines' only choice is to send a Terminator back in time to kill John's mother, Sarah Connor, before he is born, preventing the resistance from ever being founded. With the fate of humanity at stake, John sends soldier Kyle Reese back to protect his mother and ensure his own existence. So there is a SHARK WEEK, now I give you CYBORG WEEK... since the new film comes out this week I thought I would share a little history, photos and trailers! Think about it for over 30 years we have been watching Arnold Schwarzenegger play the same character and only 2 out of 5 films has he truly been the bad guy. 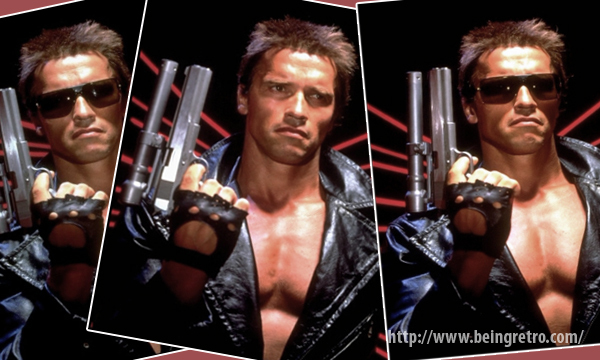 We have had multiple John Connors, Sarah Connors, Kyle Reeses and one real recognizable face being Schwarzenegger. I'm all for Cyborg week! I remember going to see this and being blown away. Oh I remember this film when it came out and thought it was quite ingenious. I even liked the 2nd and 3rd even though Arnie is now the good guy. I have not seen the Christian Bale version and unsure I will see the latest one. I wonder if the powers that be can ever let a franchise be and stop making sequels. I suspect Commander Data from Star Trek would beat Arnie in an arm wrestle. Remember the Klingon? I'm looking forward to the movie. One of my absolute favorite movies!! So full of cheesy goodness! !